To welcome 2019, a 3-day excursion was set on the lush grounds of Antipolo that boast high mountain views and overlooking scenery. With “SIKLAB” as the main theme of the event, the Leader & Development Seminar surely started off with a bang. 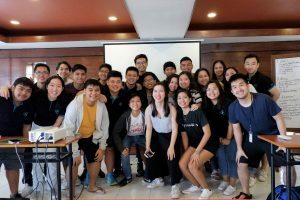 To no surprise, the participants were still in a daze from the month-long vacation, but the facilitators made sure to wake them up with a heartwarming lunch and an icebreaker. One of the first activities of the day focused on the goals and expectations of each participant. 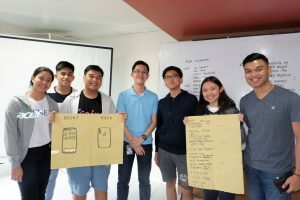 Their creativity was tested with a challenge from the officers which was both exciting and nerve-wracking since the activity really required the participation of each individual. It was then followed by a series of talks from the BETA. The first talk entitled ‘Taking The Leap’ gave the participants an idea about taking initiative on leadership positions inside and outside the organization. Relatively, the second talk centered on the leadership journey of a current EB member inside MISA and on how he was able to impact the organization. In the next group dynamics, the participants were asked to come up with a pitch for a new event in MISA that they think will contribute greatly to the growth of the organization. They will then present their pitch to a panel of judges who will judge and assess the feasibility and quality of their proposed projects. For the last talk of the day, the officers focused on people management—an aspect that should not be put aside especially since the participants were being trained to become future leaders that will shape the organization’s future in the coming years. The discussion centered on communication management and how leaders can interact with other team members effectively. The first day was wrapped up with the last group dynamics which was described as ‘An Exercise in Trust’. The activity aims to build trust among the participants who were blindfolded and made to go to different areas of the venue to touch unknown objects. The challenge was that they could only rely on the instructions of the officer assigned to them. The second day started with another series of inspiring talks from the members of the BETA. The ‘Purpose Workshop’ was then put into action by the facilitators. It is designed to help each participant to have a clearer view of their own leadership purpose statement. Another group dynamics was also held. The participants were split into teams and were tasked to create a project proposal form for a MISA project. It allowed the participants to have a firsthand experience on making a proposed project into reality. The second day of LDS was concluded with a leadership roundtable discussion. The participants were asked about their fears and doubts about becoming a leader, including what holds them back and what hinders them from growth. The present leaders of MISA then gave a lot of advice that greatly helped in answering the questions and inquiries of the participants. The day ended with participants having a dose of confidence from the leaders—seemingly ready to face all challenges head-on. For the final day of the event, it seems that everyone has gotten close with one another. Some have formed bonds that they will surely treasure, and more importantly, advanced their leadership skills which they wouldn’t have learned elsewhere. To conclude the event, pictures were taken and certificates were given to the participants and speakers which made this year’s Leadership and Development Seminar possible. True to its name, the spark of “Siklab” truly made an impact both to the present and future leaders of the organization.